an evening of experimentation and hacking with Noodl, a powerful platform for iterative design of new products. Hardware Included! When working at the intersection of design and technology, we know it is critical to be able to express and experiment new product values without over-investing in speculative development. We will introduce Noodl, a node-based prototyping tool, and show how to easily build a rich, end user centric UI, making use of enablers such as voice input and an Arduino compatible IoT hardware endpoint. During this event, participants will get hands-on with Noodl (actually a bleeding edge beta version of the upcoming 2.0 that includes react.js components), voice input and output and last not least a nifty hardware kit (Adafruit ESP Huzzah, neopixel LEDS and much more). 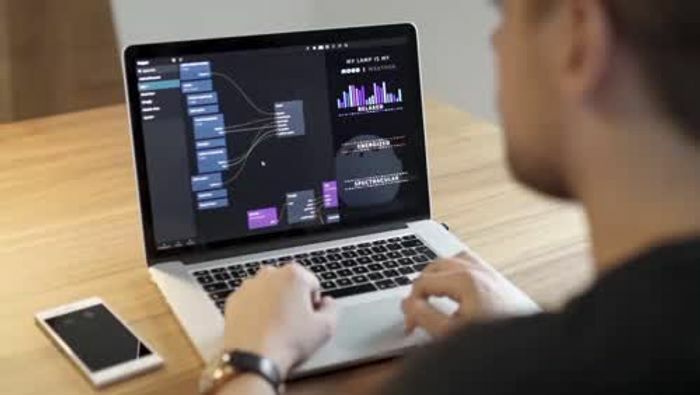 Noodl is a node based tool specialized in quickly turning technology and ideas into functional highly refined prototypes. It's easy to connect to real data (e.g. through REST), IoT devices (through MQTT) and to other types of hardware or cloud services, for example voice recognition. Noodl also have very powerful UI capabilities and you can create super refined interfaces for phones or other types of screens. Fridge Hack from Topp on Vimeo. Noodl + React Alpha Preview from Topp on Vimeo. A smaller wrap will be served and some beverages available; water & coffee. See all past presentations at stockholmhardware.se. We quickly go through the tool's functions and build a first screen. Mathias works as a Design Technologist at Topp. At Topp, the Design Technologist works closely together with designers and researches, focusing on the tech perspective in projects, masking sure that explorations and articulation of ideas and product values are expressed as interactive artefacts.